Join us for a tour of Denver’s Crown Jewel, City Park, also known from Denver’s early history as the “people’s park.” We’ll explore City Park’s history and also its intrinsic beauty, sculpted by the vision of Denver’s pioneer founders and leading designers, such as Reinhard Scheutze, S.R. De Boer, George Kessler, and Charles Robinson. The Olmsted Brothers landscape firm worked on design elements in City Park in the early 1900’s and praised City Park’s “sense of spaciousness in contrast with the crowding that is elsewhere forced by the high land values of a city.” Photographs of City Park’s “early days” will be passed around. Wear comfortable and appropriate clothing and flat walking shoes. Consider bringing an umbrella, sunglasses, water, and snacks. Young children must be supervised at all times. • PARK HILL GOLF COURSE A”NEW” PARK FOR DENVER? We encourage all of you to go and see the movie, Citizen Jane. Jane Jacobs organized her community and saved New York City from the destruction of urban renewal , bad city planning and a catastrophic freeway through Greenwich Village. Sound familiar? It happened all over the USA and it is happening still , here in Denver; Bad urban planning from the top down with no regard for what happens on the ground or what people want. 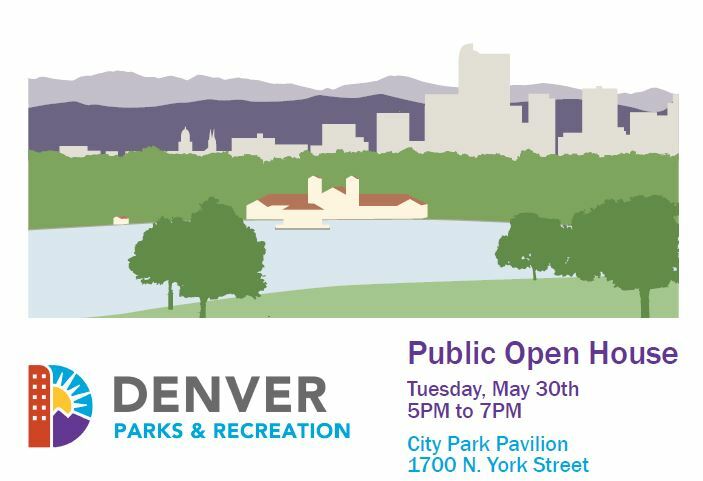 Purpose: Join Denver Parks & Recreation and Historic Denver at City Park Pavilion to learn about the master plan update, discuss what makes City Park “the people’s park” and share your ideas for this planning process! The City Park Ice Cream Soctal kicks off the season for the Denver Municipal Band with a concert, entertainers, free ice cream, and free face painting. We are happy to announce that Phil Goodstein, independent historian, renowned speaker and one who knows where all of the bodies are buried….. will be our featured speaker at CPFAN’s June meeting. Well known Denver historian and prolific author, Phil Goodstein will talk about where Denver is headed. The city is in a crazy building boom. Vintage buildings fall victim to development as developers and the media tout trendy new builds in LoDo, RiNo, Hi-Lo, and more.I 70 expansion compounds environmental and social injustice. What’s going on? How does development impact Denver residents? How does the city’s history affect current development decisions? What part does Denver’s energy economy and its boom-and-bust cycles play? How does Denver’s sports fixation affect its future? backyard barbecue and support the effort of the neighbors of Globevllle , Swansea and Elyria to stop the expansion of inner city Highway I 70. JOIN us on Saturday, June 10, from 2 -4 for a backyard barbecue and support the effort of the neighbors of Globevllle , Swansea and Elyria to stop the expansion of inner city Highway I 70. ANY DONATION IS WELCOME. CLICK HERE FOR MORE INFORMATION. Please join the Sierra Club Foundation, Unite North Metro Denver, the Cross Community Coalition and our generous hosts and sponsors listed below for a fundraiser for our ongoing fight against the I-70 Central Expansion. Learn the latest updates about lawsuits and other actions fighting the proposed expansion through the Globeville, Swansea and Elyria neighborhoods. It’s Not Too Late to Ditch the Ditch! These communities are in the most heavily polluted zip code in the United States. No other populated area in the country carries as high an environmental risk. Childhood asthma rates are 40% higher and congestive heart disease is 70% greater than in other Denver neighborhoods. The environmental and social injustice will continue unless we continue! Your donation at any level is very much appreciated. To give at a higher level and be recognized for your gift at the event, the following sponsorships are available. In addition, an anonymous donor has agreed to match all donations up to a total of $15,000. Simply cut and paste the link into your browser. Enjoy a sunset walk in one of the most beautiful, historic places in Denver, City Park ,Denver’s Crown Jewel. and good conversation with friends, old and new. All abilities and speeds are welcome. WALK WILL BE CANCELLED IF LIGHTENING IS IN THE AREA. WE WILL RETREAT TO BOGEY’S. many politicians attend along with the press. It will be a friendly way to let the community know that we are concerned about CPGC, COLE and GSE and I 70. Join us for a fun filled 4th in Park Hill. CPFAN will be joined by friends and neighbors and we will march in the parade together. Bring your bikes, trikes, your horns, whistles, dogs, kids , house guests, signs and march the 1 mile parade route from Eudora to Krameria. Get there early ( approach from the north) and have a hot dog and a beer on us! Louis Plachowski, CPFAN Board Member, will drive the Official CPFAN 1971 VW Camper in the parade . Anyone who would like to ride is welcome… first come first served. WHERE: Meet up at 4909 East 23rd Ave, 80207 / NE corner of 23rd Ave. and Eudora St.
For the walk, meet Fran, Richard and TTW Frog on the outside northwest corner of the DMNS front entrance and parking, next to the statue of the Mastodon Statue facing the lake and the mountains. We are so very honored to announce that we’ll be walking to have dinner with Dennis Gallagher, at the Bogey’s On The Park restaurant, in the City Park Golf Course, at 6:30 PM. Dennis has been a Colorado State Senator, State Representative, City Councilman, Regis University Professor for 50 years, and Denver City Auditor. Channel 12 broadcasted the documentary titled “Gallagher: One of a Kind” (now on Vimeo). We owe this great honor to this month’s “Forests” theme, and our collaborative co-hosts from the City Park Friends and Neighbors (CPFAN), Cooperative Community Schools (CCS) and Topic-Talk Walks (TTWalks). During our walk (from 5:30-630 PM) for this month’s “Forests” theme, we’ll be adding an improv comedy “Only Questions” game for ages 3 to 93. We’ll be walking 1 mile from the Snowmastodon on the NW corner of the Denver Museum of Nature and Science, to the Bogey’s On The Park restaurant in the City Park Golf Course, at 2500 York Street, Denver 80205. We’ll be walking on the south side of the lake, and then an extra half mile to 25th and York Street to the restaurant. After dinner, we’ll walk back together, to our starting point . Roundtrip, it’s about 2 miles. NOTE: The Denver Museum of Nature and Science (DMNS) planetarium’s free “60 Minutes in Space” presentation, will not be on its usual last Wednesday schedule this month. Instead it will be on Tuesday, July 25, 2017. We do not have a walk scheduled for that day. Have you watched the improv comedy “Questions Only” game on “Whose Line Is It Anyway“? Our “Only Questions” game also has no winners or losers, just a whole lot of fun, with the additional educational co-creativity! You can read more about the evolution of the “Rules of the Game” on a photo in on our collaborative Topic-Talk Walks’ Facebook album. We’re building up questions for our scheduled October 25, 2017 collaborative event on this “Forests” themed topic. Please feel free to contact me, your volunteer collaborative co-host, if you have any questions, or comments. Come and Party with CPFAN! CPFAN actively supports the law suit brought by Aaron Goldhamer, on behalf of many plaintiffs, to STOP Denver’s plan to destroy historic City Park Golf Course …to install a large industrial drain for toxic storm water. We have raised over $25,000 for the law suit so far! It goes to trial on august 21, 2017. We think that a party is in order to celebrate this feat and many other CPFAN accomplishments over the past few years. Aaron Goldhamer, the lawyer who has brought this sut pro bono ( FOR FREE) will be our honored guest . See you on August 6 at 6:00PM! CPFAN September Meeting: Please join us for an important update on issues that affect all of our lives and our parks. 1. City Park Golf Course Lawsuit: Hear a recap of the trial and perhaps we wil have a decision. 3. Superfund Sites. : We are all affected because we live right next to the most toxic zip code in the USA, 80216.Colorado Department of Transportation and Denver are doing a removal of dirt from the 39th Avenue in Cole to install a mile long open storm water drain, a continuation of the drain that they want to place in City Park Golf Course. The drain would carry toxic storm water and industrial waste through CPGC and Cole on its way to Globeville, where it will dump into the South Platte River through a controversial, large outfall. This project and the Highway I 70 expansion that it is designed to keep from flooding, have many ramifications for our air , water and soil, trees, health and safety. CPFAN is a part of the Community Advisory Group (CAG)formed by EPA and Denver. COME AND LEARN …. BE INFORMED… SPEAK UP… LET YOUR VOICE BE HEARD. 4. INC: Highway I 70 Expansion. CDOT wants to lower a portion of I 70 , 20 feet below the water table, next to the river,in the path of a large drainage. Is this project going to affect your life? How will this huge, 5 year long project affect your life, the air you breathe , your water and your soil? Inter Neighborhood Cooperation(INC) will soon hold an informational meeting for citizens to learn about this project. We will have an update. Please click here to watch an informative video done by CPFAN’s own Michele Swenson. The entertaining video covers the questions and concerns of many citizens about Denver and EPA’s ‘time critical removal” of dirt and water in the I 70 Vasquez Superfund Site in Globeville, Swansea, Elyria and Cole. CPFAN is concerned about the health and safety of our neighbors who use and love the park. WHAT ARE WE DOING ABOUT IT? CAG. CPFAN members and friends pushed the EPA to recognize a Citizens Advisory Group (CAG) for this I 70 Vasquez Superfund Site (SS), It is the first CAG since 1999, when the site was first put on the EPA’s National Priorities List for the most toxic sites in the USA. CPFAN has many members who live by the SS and /or will be affected by activity that includes the most toxic zip code in the USA, 80216. CPFAN CARES ABOUT OUR CITY PARK-CLOSE NEIGHBORHOODS.